i just wanna make a tread out there about this, remember how games before didn't have any of this after market crap and the game were "fully" loaded with the content? yea, i have a few gripes, i do like DLC cause it adds stuff i want, OBVIOUSLY, but this viscous circle has got to a point where it's safe to say that it has backfired on all gamers. ...i realize that's half of what i spent for the whole game that comes with over 90 units "by default" ... and that all these DLC units will be added in the next installment of ExtremeVs ANYWAY! I agree, and theres alot of FB DLC that SHOULDNT be DLC. Why charge for those? do they make battles easier? No. Do they add new Units? No. All they do is change the appearance of the HUD and give u a different voice/cut-in image. Seriously, Bandai's just getting greedy now. I can see paying for new Units but everything else should be stock in game. Honestly, if they don't GIVE us the HUDs + Operators etc in Maxi-Boost, then ima be very dissapoint. But DLC in general is good, but i think all minor DLC (like Item Packs, Costume Packs, etc) shud be free or maybe 99c. But Massive Expansion packs shud still cost money, but maybe a bit less then they are. Some Expansion packs are like 20$. i don't bother with dlc unless they are in a fancy bundle like dragon age origin did with the ultimate edition. as for small dlc they should be collected into 1 big expansion instead of separated into pieces. Some DLC nowadays get put into 1 DLC Bundle after a bunch are released. you can thank call of duty, they started this whole DLC business, no they didn't really, but still. They're one of the biggest franchise that has done DLC. i mean they have a freaking season pass so you can get the DLC "earlier" and "a lot cheaper", its just a huge business now a days. They don't care about the game, they care more about the money because almost every single new game that comes out is always broken. There's a huge bug in the game that shouldn't be there (assassins creed unity for example). The only franchise that did DLC right is Rockstar with GTAV. every single DLC that came out was free. wow...yep, proves our point awright, dis industry is broken nuff said. 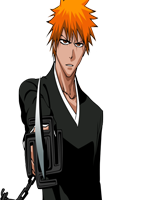 off topic: ACE:R is bleh, a big deception if you ask me, i just tried it and the controls are awful, just reenforce what i think of Banpresto: they can't make a good game. 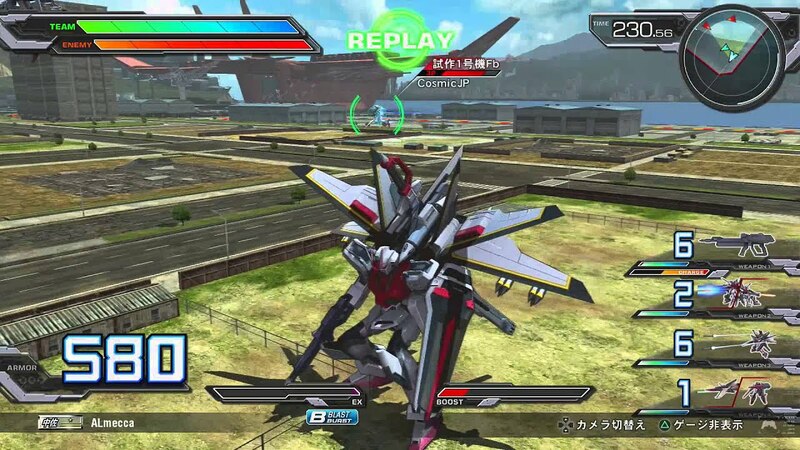 Gundam UC for ps3 made by the same Devs but under Bandai is sooo much better, a gem in my book. Gundam UC is AMAZING, i have it and its such an amazing game. I agree with all of this, i hope SOMETHING happens that changes the DLC Market. it won't change unless there is some big situation/event that happens to force change in it. i also forgot to mention battlefield, thats another one thats really bad. once the DLC's come out for it, you literally need to them to play them game or its pointless. you know i told ya guys about the 3000Yen PSN money i got (instead of 1000yen that i paid for) ? i thought it was weird but it's not like there could be a mistake. i thought i was receiving a present from the Very kind Kesuke-san ! 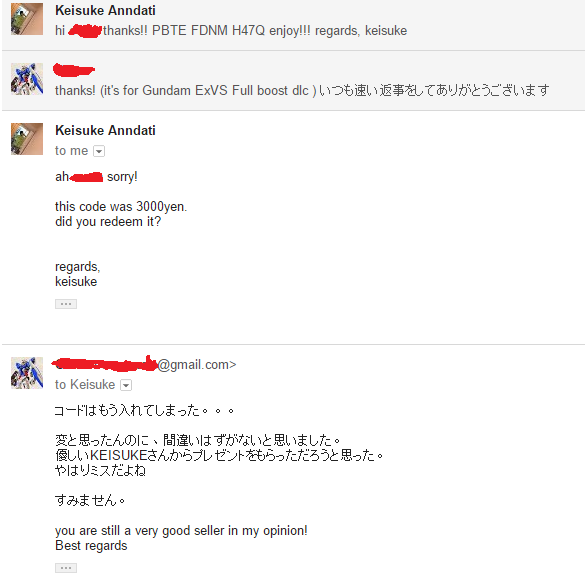 more seriously, ...i know he's japanese and all, a very pro seller, BUT, should i trust him with my next purchase? if i buy a 3000yen PSN card , will he give me a 1000yen card instead? making himself justice or something? i decided to do what was right and pay him back to cover his losses (not profits ), money doesn't come free, im don't want him to ruin his day over this, it's just fair.